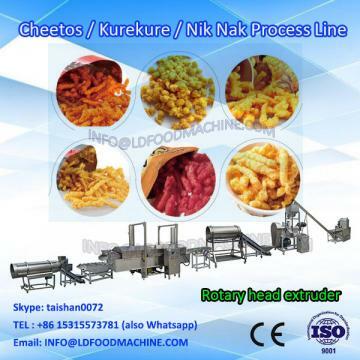 Corn cheese curls snacks food making machine:Kurkures/Cheetos/Nik Naks/Corn Curls is a kind of twisted strip snack which takes corn grits as raw material.After mixing with water, the grits is extruded by the rotary head extruder into chips.It can be cut in different diameter according to different customers’ requirements. 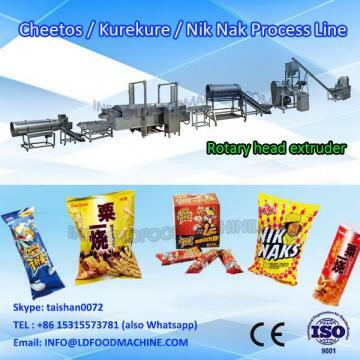 It can be flavored after frying or baking. 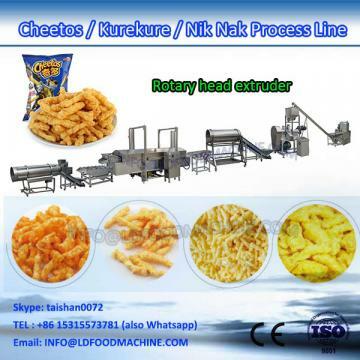 The final products are delicious, crispy and nutritional after either way cooked.